Rep. Rashida Tlaib (D-Mich.) urged her fellow lawmakers this week to back a resolution to investigate President Donald Trump for impeachable crimes after the release of special counsel Robert Mueller‘s Russia report. 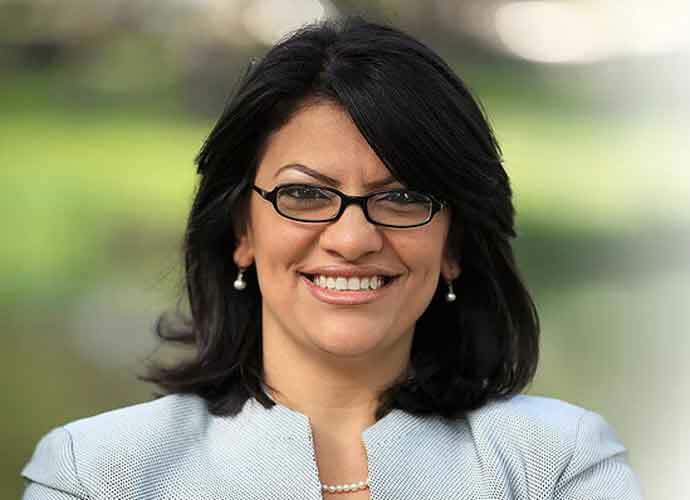 Tlaib, 42, sent House Democrats a letter Monday to support the establishment of a commission that would “inquire whether President Trump committed impeachable offenses” regarding his businesses while in office. “I, firmly, believe that the House Committee on Judiciary should seek out whether President Trump has committed ‘High crimes and Misdemeanors’ as designated by the U.S. Constitution and if the facts support those findings, that Congress begin impeachment proceedings,” the Muslim-American congresswoman wrote. Tlaib, a freshman lawmaker, drew controversy earlier this year after a video surfaced of her telling a crowd of supporters that she vowed to “impeach the motherf—er,” referring to Trump. House Democrats have demanded Mueller’s full report — said to be more than 300 pages long — be released by next Tuesday. The special counsel found no evidence of collusion between Trump’s 2016 campaign team and the Russian government. Mueller has yet to reveal his conclusions on whether or not the president obstructed justice, however. Attorney General William Barr cleared Trump of obstruction of justice, a decision that drew swift condemnation from Democrats. Even members of Trump’s legal team, like former New York Mayor Rudy Giuliani, have said it is important that Mueller’s full report be made public. “Let me say for the 400th time, the president did not do anything wrong,” Giuliani added. Rep. Al Green (D-Texas) is one of several Democrats who has explicitly stated he believes Trump should be impeached, a move House Speaker Nancy Pelosi (D-Calif.) recently said she opposed.